For the past few months, I’ve been working on preparing to complete a journey. I had to stop my life and write for one week — it’s what I do, right!?! Let’s say it was an experience to remember this week writing about librarianship. The result, I will be receiving a Master’s Degree in Library Science and Information Technology from the University of North Texas in May of 2014. It has been an awesome ride. On the other hand, I haven’t been as creative as I wanted to during this road trip to becoming an art librarian. I feel like the stress that I’ve felt since last semester, came off in an instant. As a result of sitting down and writing for a chance to change the world | step by step – I wrote about what I know, experiences, and see in the future for the profession. Trust, it was not easy to write three essays in one week ( I had to also write another essay for a class – so that made four essays in one week.). During the process, I had motivational sayings up and received greeting cards, postcards, coffee gift cards, text messages, and phone calls from friends. The gestures were received with open arms and love. I’m thankful that the process has ended, and I can get back to creating collages, publishing work by atlas brown, and building my empire as a multi-media guru. 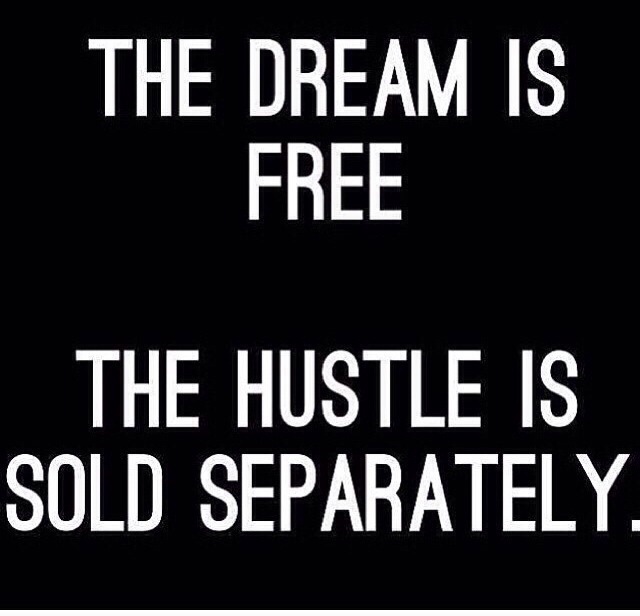 I have many dreams, and I know the hustle is sold separately. Ain’t nothing changed! « Alice Walker: Beauty in Truth Premieres Nationally | Tonight at 9 p.m.